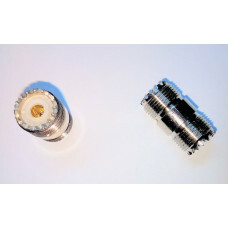 This is Barrel connector that has an SO239 socket on each end and can be used for joining two VHF antenna cables with PL259 plugs on each end. 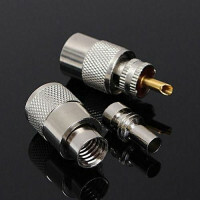 UHF Male PL-259 connector. 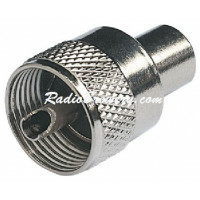 For use with RG58 cables..
PL259 UHF Male Twist-On PL-259 Connector for RG213 with reducer for RG58Teflon Insulator..